Avinode Business Intelligence, based in Gothenburg, Sweden is forecasting a positive year for business aviation in both Europe and the United States. They project a 0.7% increase in business jet flights in the U.S. in 2014 with positive numbers across almost every region. In Europe, where Multi Service Aero serves many customers, the projection isn’t quite as optimistic, but still quite good compared to recent years. Avinode is projecting marginal growth of 0.1%, but after years of negative growth, that’s a positive development. In the United States, the South and West are expected to pace the growth in the United States with 1.0% growth and 0.9% growth respectively. The only region in the United States expected to see a decline in the United States is the Midwest, but only a 0.1% decline is expected. Europe is divided into a Northern region and a Southern region. The Northern region typically is more active in business aviation, but is expected to see a 0.9% decline in 2014. The Southern region, on the other hand, is expected to see a 0.7% increase. For Europe as a whole, the result is a positive projection compared to what the business aviation industry has brought over the past few years. Avinode also makes projections on the aircraft side and sees some trends continuing without much change from recent history, but some trends are forecasted to change drastically. 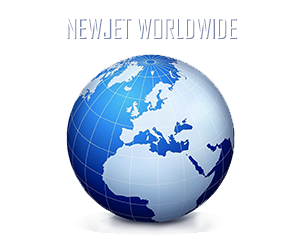 The Light Jet category encompasses the Entry Level, Light and Super Light jet sub-categories and, in Europe, is projected to see a slight decline of 0.5%, mostly due to the Light Jet sub-category. Entry Level jets, on the contrary, are projected to continue rising with a 2.3% increase. The Light Jet category in the United States is projected to see a slight 0.5% increase in activity, driven by the growth in the Entry Level jet sub-category. Entry Level jet activity is expected to increase by a booming 5.3%. Avinode projects decline in the European Midsize Jet Category while the U.S. side is expected to grow by 0.7% in 2014. In the Heavy Jet category, both Europe and the United States are expected to see growth, by 3.6% and 1.2% respectively. The yearly business aviation forecast by Avinode is based on historical flight data, economic growth forecasts, aircraft deliveries and forecast demand based on Avinode Marketplace trends.